February 14, 2018 Beautiful Cadenzi! These are so beautiful! I performed the Zelter concerto mvmt 1 for a college audition. When I heard a recording of this cadenza, I feel in love with it instantly. 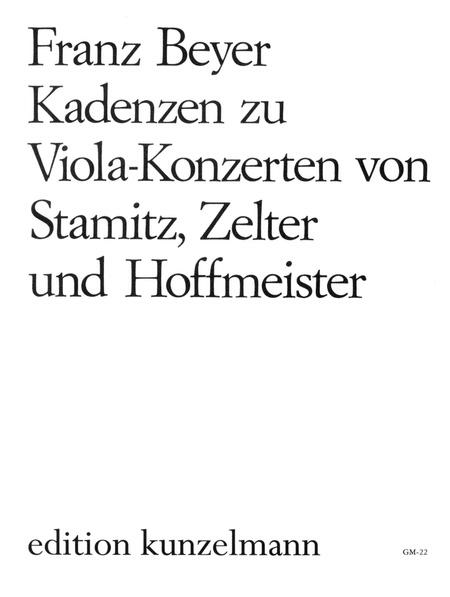 June 19, 2007 Cadenzas for Stamitz/Hoffmeister/Zelter viola con. 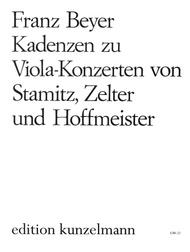 Essential for students who are learning these concerti. 19 of 41 people found this review helpful.